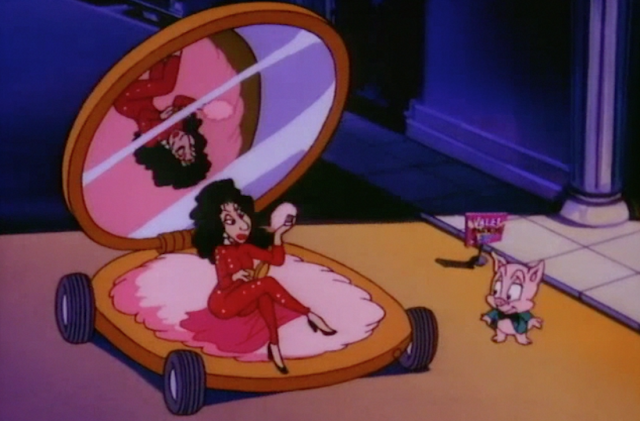 Early in the series run of Tiny Toons, there was an episode that took place in Hollywood. 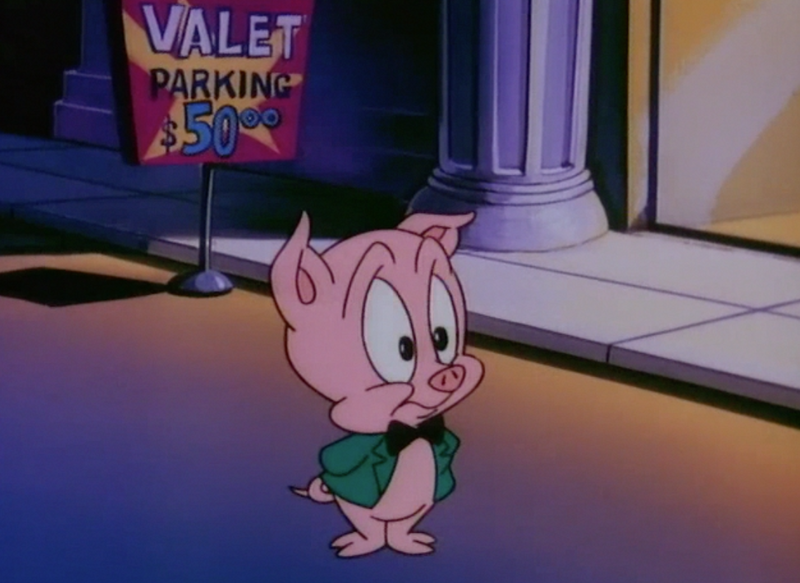 Just like the old Looney Tunes shorts once did, this episode features caricatures of the real-life celebrities. Also just like with the old Looney Tunes cameos, most of the references went over my head. I was eight. What can I say? However, I came across one of them just recently, and it’s worth noting that it’s one of the few jokes in the episode that is not dated. Meryl Streep orders dinner in a restaurant, then promptly receives an award for ordering dinner in a restaurant. She yawns through a “thank you” and then stuffs the statuette into her purse, which is already full of awards. The joke is that Meryl Streep is such a good actress that it’s nigh impossible for her not to collect awards left and right. When the episode aired in 1990, Meryl Streep was the best. Twenty-five years later, she still is. Yes, I heard you muttering about your Julianne Moores and your Cates Blanchett, but Meryl is just one Oscar away from tying Katharine Hepburn’s record for the most ever won by a single actor, and she’s already the most-nominated actor ever. Every other actress of a certain age starring in a somber film about people coming to terms with things is just lucky that Meryl is not springboarding off their corpses, squashed-Goomba-in-Super Mario Bros.-style, to reach even greater heights of success. There’s no big take-away here, just a quick observation that in an industry defined by change and in which women especially cycle in and out of fashion with alarming speed, Meryl Streep is a constant. MERYL STREEP IS MY CONSTANT. For the record, there was one celeb joke that little, pea-brained me got right off the bat. Do you get it? 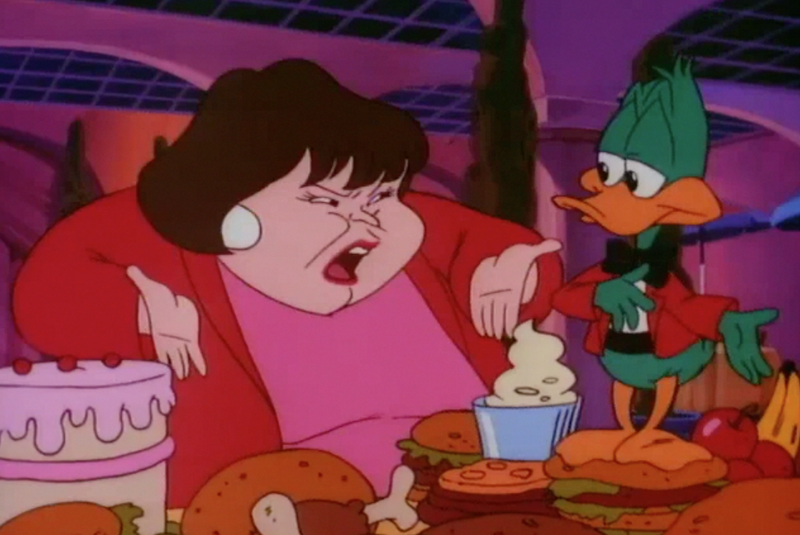 It’s because Roseanne is fat. I cannot recall if eight-year-old me found this funny. The sequence also burns off a Cher cameo just to make a “compact car” pun. The joke that would end up having the greatest significance in my adult life, however, is a teeny-tiny background one appearing on the valet sign. Twenty-five years later, this Los Angeles resident can tell you that this has also has not really changed.